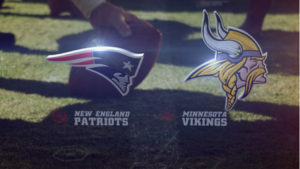 The New England Patriots will be going for their eighth win in their last nine games when they welcome the Minnesota Vikings to Gillette Stadium this week. The game will be played on Sunday, December 2. Also, it is scheduled to begin at 4:25 PM. ET. NFL Week 13 odds below. The Vikings have played well in recent weeks. Winning two of their last three contests. They will try to make it three wins in their last four games when they face the Patriots. Can it be done? Therefore, despite their recent play, the Vikings still have a lot to do. This is to catch up to the Chicago Bears. The Bears are sitting on top of the NFC North. With three of their last five games on the road, the Vikings have to play better on the road than they have done so far if they don’t want to miss out on the playoffs. Minnesota’s offense hasn’t been as good as the team hoped it would be. This was when they signed Kirk Cousins in the offseason. However, they have been playing well in recent weeks. The defense has also come back to life. The Vikings have the making of a dangerous team. They will need to play better than they did against the Packers to get this win. For the reason that it’s week 13. The Patriots were able to bounce back from their loss to the Tennessee Titans with an impressive win over the New York Jets in their last game. They will be trying to win their second straight game and eighth in their last nine contests when they face the Vikings. Tom Brady has played well this season despite his thin wide receiving corps and Rob Gronkowski not playing at the level he is used to. With the Pittsburgh Steelers losing over the weekend and the Kansas City Chiefs losing to the Los Angeles Rams, the Patriots still have a chance to win home-field advantage in the playoffs, but they will likely need to win the rest of their games. The Patriots have been playing well defensively over the past month and they will have a great chance to win this game if their defense continues playing well. The Patriots are favored to win this game by seven points. The over/under on total points scored is not yet available. The Vikings are playing well but they have only two wins in five road games this season, while the Patriots are undefeated at home. Take New England -7.